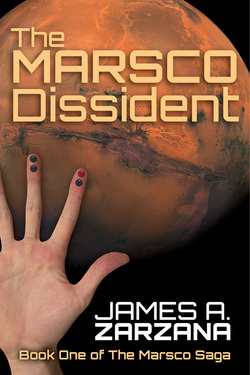 Dear all: The Marsco Dissident, Book I of The Marsco Saga, is now available in print and for download on Amazon. I have two sample chapters on this website if you wish to taste the Marsco world. You may also read reviews on Amazon and Goodreads for a sense of the positive responses I have been getting. The first two novels, The Marsco Dissident and Marsco Triumphant, tell the story of a post-nationhood world where a single mega-corporation, Marsco, controls everything via its absolute control of computer usage. Marsco Terminus, Book III, tells of the final years of this situation. The Ascendancy of Marsco, Book IV, is the prequel to the nightmare world of Marsco. Book II should be available in print or for download in February 2015. Book III, October 2015. Book IV will follow thereafter. Book I sample chapters are available for viewing on this webpage. Thanks to Marianne for all her careful reading and editing. Additionally, to Elaine, who supported this effort from start to finish. And to Barbara Booth whose early look gave me such encouragement. Thanks also go to Cheryl Eldridge Seehorn for her knowledge of roses. Acknowledgement must go to Professor Eric Markuson for his information on genocide and “grassfire wars.” His visuals helped in countless ways. Thanks to Lorien Downing for her insights and for carefully reading this manuscript. Also thanks to Cathy Bernardy Jones for her editing of the complete text. And to Dana Yost for his help. Finally, thanks to all those others whose encouragement and faith gave me strength to continue, especially my three brothers. This work is entirely a piece of fiction. “Marsco” is a completely invented entity, created solely for the purposes of this fictional work. It is not to be mistaken for any past or currently existing corporation or business. Any similarity of name or of characteristics to existing corporations or businesses in the use of the name “Marsco” is purely coincidental and a matter of chance. Similarly, all characters in this work, except known historical figures, are fictional and created solely by the author.